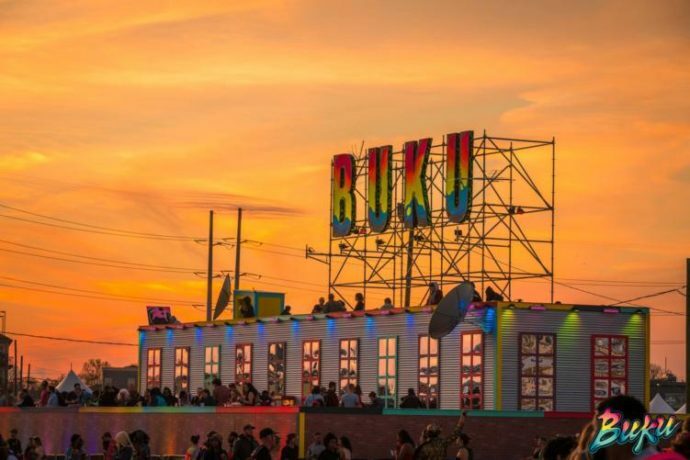 BUKU Music + Arts Project boasts a lineup filled with artists of all genres this coming Friday and Saturday night. This year, the event sold out 2 weeks prior to the festival beginning – which means people are scurrying to snag their late night party tix before all is gone! Between 3 evenings, there are tons of happenings all across town for those that want to keep the groove going. Though many of these events are sold out, don’t be discouraged! Keep your eyes peeled on the Facebook event pages, especially at the end of the festival day, for those selling their tickets. And ALWAYS. USE. PAYPAL. GOODS + SERVICES. Check out the list below. Where will you be? DRIFTER HOTEL. 6PM. Get your dancing started early at the Drifter Hotel with Bouffant Bouffant. This is technically a pre-party, not an after-party, but still wanted to mention it for those that might be in town early for weekend shenanigans. Head here for more information. BEARDED LADY PRODUCTIONS PRESENTS: FUSION. ART GARAGE. 10pm-5am. $6 cover. BUKU LATE x EMO NITE PRESENT: FROM FIRST TO LAST. REPUBLIC NOLA. Midnight-4am. Sold out. BUKU LATE x BASSIK: G Jones b2b Eprom, Barclay Crenshaw, Charlesthefirst, Bawldy. ORPHEUM THEATRE. Midnight-5am. Sold out. BUKU LATE x GUD VIBRATIONS. Nghtmre b2b Slander, Ekali b2b Medasin, Wavedash, Klutch. JOY THEATER. Midnight-5am. Sold out. DELISH DA GODDESS AFTER PARTY. HOWLIN’ WOLF. Midnight-til. Tickets available here. TECHNO CLUB PRESENTS SPEKTRUM. TECHNO CLUB. 11pm-til. No cover. BUKU LATE x FREEWATER. Gunna, Getter, Rico Nasty, Duskus, Mhadi G, K-Strikes, Nameless. REPUBLIC NOLA. Midnight-5am. Tickets available here. BUKU LATE x WAKAAN TAKEOVER. JOY THEATER. MIDNIGHT-5am. Sold out. BUKU LATE x TIPITINA’S. Papdosio, Mersiv, The Iceman Special, + Dinobrawl. TIPS. Midnight-?. Tickets available here. TECHNO CLUB PRESENTS WE LOVE TECHNO. TECHNO CLUB. 11pm-til. No cover.